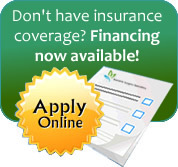 Can I Finance My Surgery? I am one of a growing number in our American population that has taken my life back from morbid obesity. I am a 38 year old Latina female who began this journey on October 3, 2004. At the time I weighed in at 289 pounds. Two years later I am a much healthier 161 pounds! My goal is to be healthy, enjoy my children and hopefully live long enough to see my grandchildren. I grew up healthy and athletic throughout high school. I married at the age of 19 and gained 55 pounds with my first child. I gained another 60 pounds with my second child and never lost the weight. I tried everything; every fad diet, pill, working out, starvation, shots, you name it. The most weight I was able to lose was 20 pounds but always gained it back and then some. I was always outgoing and loved sports and dancing. I have a large group of friends that I love and enjoy. The big difference...now I have my health, added years to my life, and more confidence than ever before! I was a teacher for 12 years and have recently changed careers to become a persona trainer with 24-hour Fitness. 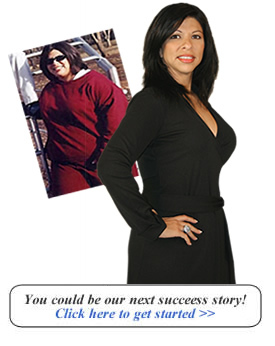 Several of m clients are gastric bypass and Lap-Band patients who are newly post-op. I feel like I can 'so' relate to their problems, fears as well as their accomplishments and personal endeavors. I would just like to send a hear-felt 'thank you' to Dr. Marvin and his staff for their incredible care and guidance through my journey. BSS has given me my life back and I know now there is nothing I can't do! In many cases your insurance will cover all/most of the cost of this surgery. What is your average monthly food bill? Using $ as your cost per month you could save on food expense over the next 5 years alone. –How may we help you? I would like to get a call from a staff member about my questions.